I remember having a conversation with a fellow editor years ago about this new thing called “ebooks.” Were they a fad? Are they worthwhile? We weren’t really sure how they’d rate compared to real books, and if readers would even like them. We also wondered if people would be ready to accept self-published authors. That was, obviously, a long time ago, and since that conversation, I’ve seen ebooks burst onto the scene and change not only the publishing industry, but reader behaviour, as well. Ebooks have also positively impacted writers, and nowadays almost anyone can write, publish, and sell their own ebook, since it’s much cheaper and faster than selling a print book. For proofreaders, copy editors, and editors, this has proven to be a well of employment opportunities. 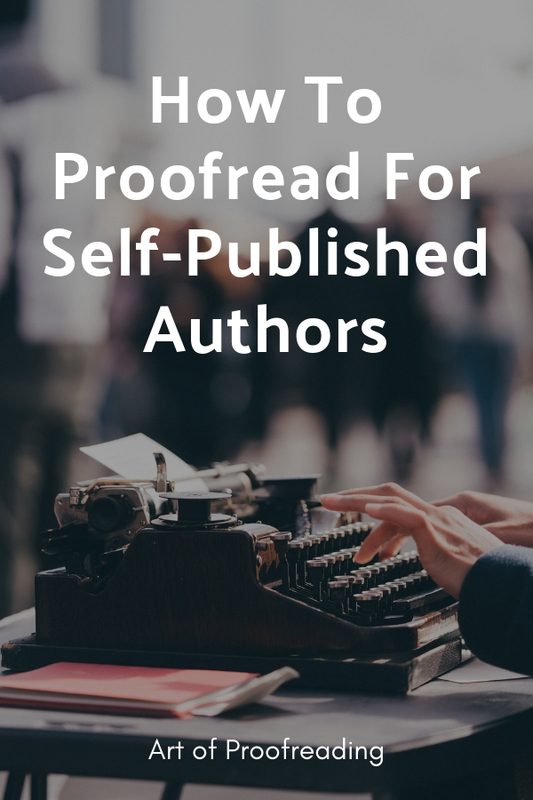 Read on to find out why self-published books aren’t a fad, and how to proofread or copyedit for indie authors. It surprises me that even today people still ask if ebooks and self-publishing are a fad, as if they’ll go away some day. This shouldn’t even be a question, because they’re here to stay! True, sometimes self-published books are looked down on by some. However, if you want longevity as a proofreader or copy editor, it’s not wise to dismiss indie writers. Indie writers are those who don’t sign on with traditional publishing houses, and they can be a great source of freelance work. The most recent research shows that after falling for a few years, ebook sales are back on the rise, with 632 million ebooks sold in just the US, UK, Canada, Australia, and New Zealand in 2017 alone. 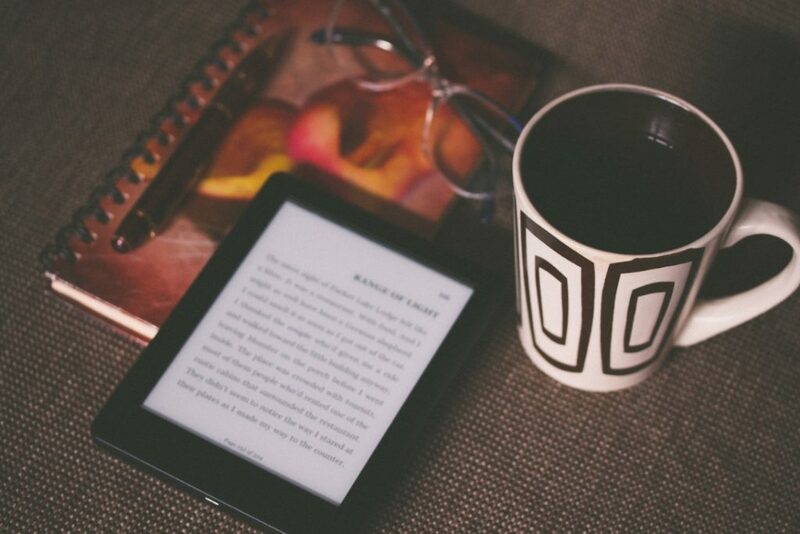 Of those ebooks sold, self-published or Amazon published ebooks made up 55% of market share in the US, 40% in the UK, 39% in Canada, 46% in Australia, and 38% in New Zealand. Many indie writers publish their stories through ebooks only, as they don’t need acceptance from a publisher. Just because a writer chooses to self-publish doesn’t mean they weren’t good enough to get a book deal. It could be they wanted more control over their final product or they wanted to make more money. Don’t let stereotypes cloud your judgment when working with indie writers. Authors who choose traditional publishing usually have to give away all creative control to the publishing house once they’ve been paid their advance. They have no more say in the look, quality, or marketing of the baby they’ve spent so much time nurturing to fruition. Ebooks and self-publishing do the opposite. Authors have complete control over their vision and final say in all decisions. They can control the font, layout, cover design, and more. They get to decide what marketing strategies to employ and how and where they want to publish. They’re the boss. Traditional publishers know the single most important secret of success: quality. That’s why most people still trust books from old-school publishing houses, like Penguin and Random House, more than they do those from self-published authors. When a potential customer comes across a thousand intriguing titles and 900 of them have covers that look like a grade-schooler put it together, or each page is full of spelling and punctuation errors, they’ll have a bad experience. The result is a negative opinion of all self-published books as a whole. Even worse, their negative opinions spread to others through reviews or word of mouth. Writers need to prevent this, and proofreaders and copy editors can help. Self-published authors have the power to control their own product, as well as the power to change the reputation of the self-publishing industry and indie writers as a whole. If you proofread or copyedit books, you can help by educating writers on what it takes to create a high-quality book. Some writers can be impatient, and want their book out NOW, but they need to be advised that writing more than one draft of a story is a good thing. A book’s popularity isn’t determined by how quickly it gets on the market, but on the overall state of the book. Writers should write more than one draft of a story. The first thing I do when an indie writer contacts me, is ask what draft their story is in. Have you heard of the “sh**ty first draft”? It’s an unofficial publishing term for the first draft of a story, and reflects the overall quality of that first brain dump. First drafts are when writers pour out their ideas unedited onto paper or screen, and isn’t fit for consumption. If anyone is in the first draft stage, I encourage them to go over their story again before they even think about having it prepared for proofreading or copyediting. Trust me, it will save everyone a lot of time and stress. People want quality. They want to read seamlessly, get lost in the content, and love the look. They expect it and they deserve it. In my professional training course, I teach about the publishing industry so you can deliver exceptional proofreading and copyediting services. When a writer is happy with their manuscript, then it’s time for you to use your magic touch. It’s a proofreader’s and copy editor’s job to fix all the grammar, punctuation, and spelling mistakes. Some writers may think they can proofread their work themselves, but they’re actually far too close to their own work to see little things like extra spaces or periods. Usually, many books require copyediting to some degree. Even English majors and editors make mistakes when it comes to their own work, and errors in a manuscript can make readers stop reading. The more errors there are per page, the more likely a reader is to permanently put your book down and tell others not to bother buying it. If you’re interested in taking your first step into proofreading, sign up for my free 5-day intro to proofreading course in the box below! Publishing a high-quality book takes time and money. Writers don’t have to break the bank, but they should also be willing to invest in great editorial work. As proofreaders and copy editors, your job is to make your value known. Is it worth it for you to work on a 400-page novel for $200? Probably not. When you break down how many hours it could take you, it amounts to pennies. Many new proofreaders and copy editors are scared that quoting a high price or even a reasonable price will scare off potential clients. I recently interviewed High-Level Proofreading Pro grad Andrea, about her experience charging for her first self-published book. You can read her interview here. The money spent on editorial services is the best investment a writer can make, and it’ll ensure your client’s book will have long-term appeal. No one wants a flash in the pan that turns people off and won’t be recommended. Positive word of mouth is priceless; negative word of mouth is destructive. Positive feedback can put books on the bestsellers list. Most importantly, by investing some time and money into a beloved manuscript, writers will be creating trust with their audience. This means that their fan base will grow and keep them coming back for more. The real truth that no one is willing to tell you is that traditional publishing no longer holds the clout it used to (as the numbers also show). Also, whether a book is traditionally or self-published no longer speaks to the credibility or the authority of a book and its author. The only difference between the two is quality: the quality of the writing, the editing, the design, and the publishing. Traditional publishing companies know the integral steps that go into the process of making a high-quality book. Self-publishing, as a relative newbie, is still finding its footing. But people are starting to understand that those steps the traditional companies have been using for years are necessary. And authors are starting to catch on, too. The bottom line is the indie publishing market is not only clearly competitive, but overtaking the big-name publishers as they now own only between 18% and 26% percent of the 2017 market share in the top 5 English-speaking markets. Not bad for the new kid in the industry, and by continuing to focus on providing readers with high-quality ebooks, those numbers can only improve.